We would like to thank the Government of Latvia and you personally for your support of the democratic movement in Belarus for many years. Knowing that you are going to visit Minsk, we would like to remind you about the continuing human rights violations in Belarus. For many years, the two main conditions for improving relations between the European Union and Belarus were the release of all political prisoners and a proper investigation of political disappearances. Mr. Minister, during your upcoming visit to Minsk we would like to ask you to raise the question of fulfilling the demands of the UN Human Rights Committee and other international institutions to investigate the cases of political disappearances in Belarus as well as to release all political prisoners. 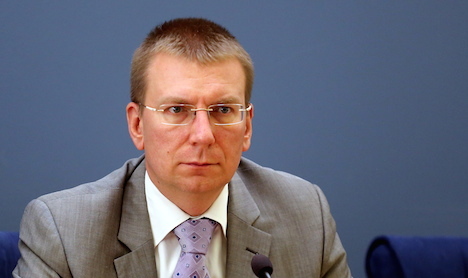 We also would like to ask the Government of Latvia in its capacity as President of the Council of the European Union to remind Belarus authorities that respect for Human Rights remains the precondition for normalizing relations with the European Union and the rest of the democratic world. Without justice for political prisoners and the disappeared there will not be a future for free and independent Belarus.